It was many many years ago when as a small child I witnessed a war in 1965. I still remember the black outs, the sound of cannon firing throughout the day and night of the Rani and Sherni guns, positioned not far from our home in Lahore. The war had a tremendous effect on us. Suddenly we found ourselves to be more patriotic, highly motivated and emotional. We contributed all we could for the displaced people from the border areas. 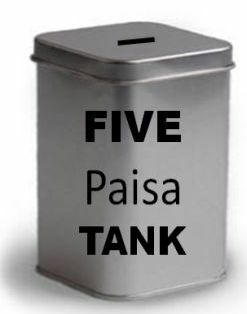 There was another thing that I still remember: The FIVE PAISA TANK. On every nook and corner of Lahore was placed an emptied ghee tin for a donation of just five paisa – as it was then calculated that if every Pakistani contributed five paisa, it could buy one tank for Pakistan Army. I, along with many other excited and motivated children, would get five paisa from my mother and donated it daily for the cause. And every time we put a five paisa coin in it, we thought we had bought a tank. That was many years ago. Today we are faced with a similar situation but of a different kind. The recent floods have washed away houses of millions of people. Once the flood water recedes, the flood affectees would have no place to go back to. They will still have to live under an open sky, as they would have no means to built even a semblance of a shelter. 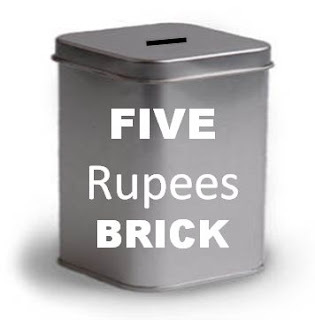 I was just wondering if each Pakistani today contributes FIVE RUPEES each, the cost of one brick, we can have 100 million bricks. This rough calculation is based on the population of 100 million (as out of 180 million present population, 20 million are displaced by floods and remaining 60 million would be children/unemployed or the older people). These 100 million bricks perhaps would be partly sufficient to provide some assistance to the homeless people to start building their homes once again. We could smoke a cigarette less or do away with chewing a paan, or skip the ice cream and donate FIVE RUPEES to buy a brick. This can be done and it is not difficult too. The government only needs to ensure that funds generated from such a fund are utilized for buying bricks only and nothing else. Read this in print today. You have made a case.